Rwandan cyclist Bonaventure Uwizeyimana emerged as the winner of the Tour du Cameroun 2018 with his compatriot René Ukiniwabo scooping the award for the winner in the youth cathegory. Uwizeyimana came first on the general classification, having clocked 21hours, 53 minutes and 20 seconds, being three minutes and 38 seconds adrift of Haring Martin who is second on the list. Another Rwandan Patrick Byukusenge came in the fourth place generally having clocked five minutes and 25 seconds behind Uwizeyimana. Another Rwandan who came in the top ten in the general classification is René Ukiniwabo who came on the sixth place after clocking five minutes and 44 seconds behind Uwizeyimana. René Jean Paul Ukiniwabo also mounted to be awarded as the first in the youth category while Team Rwanda claimed the best team category win. Julienne Uwacu, Rwanda’s Minister if Sports and Culture, congratulated Uwizeyimana and Team Rwanda for their impressive win in the competition. 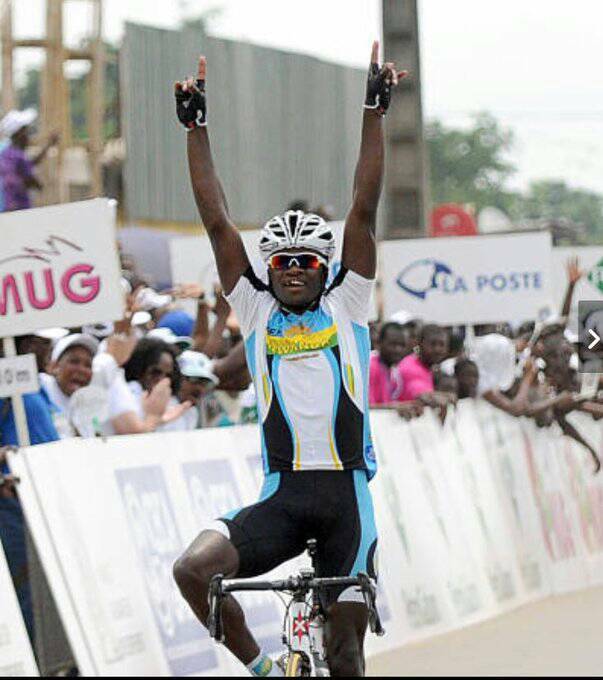 “Congratulations to Bonaventure , @team Rwanda, for wining the Tour of Cameroon ! You made my day ! Proud of you, keep it up,” she said. Uwizeyimana wore the yellow jersey on May 31 when he won stage five and kept it until the end of the Tour du Cameroun 2018.